Cute set of six v-neck t-shirts for your toddler boys. The default base is plain but the other 5 designs included are Trukfit brand. 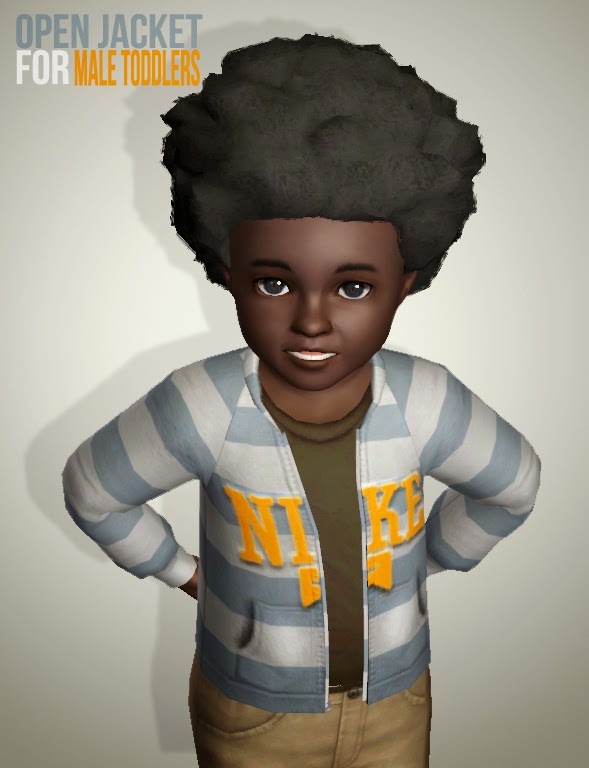 This is a new mesh and it's for male and female toddlers with this version only being enabled for males. It's a cute spin on baseball t's so instead of words or just a plain Tee you get cute graphics. 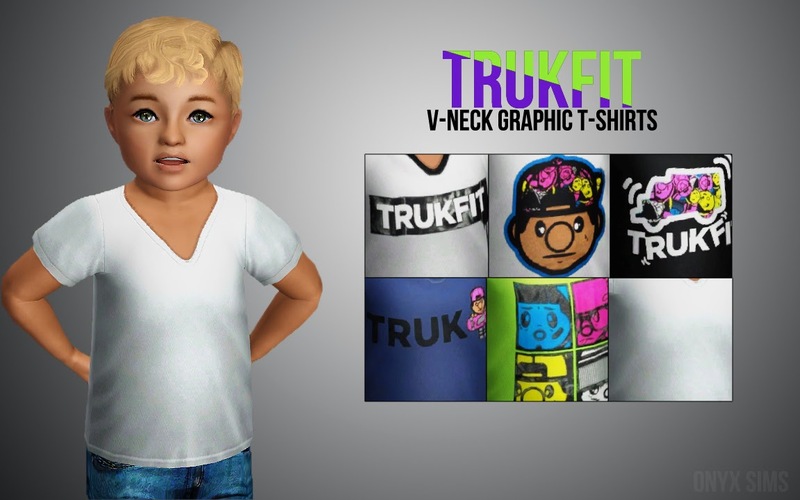 This is a new mesh and it's for female and male toddlers with this version only being enabled for females. It's a cute spin on baseball t's so instead of words or just a plain Tee you get cute graphics. 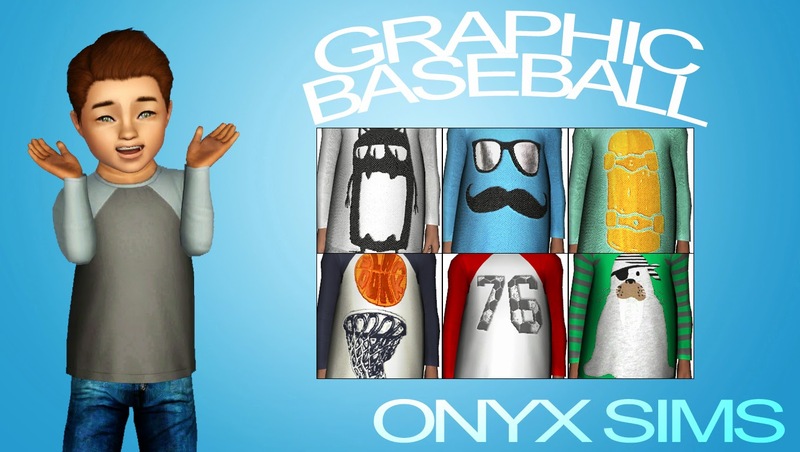 The open hoodie or jacket mesh comes with 5 different presets in CAS. The first option is simple and plain while the other four either have some type of logo or graphic on the jacket or shirt portion. It has four channels for recoloring options and can be changed to fit any style. The mesh used is by Fuyaya. This is a new mesh for male toddlers. Comfortable sweatpants for the boys that can be paired up with a pajama top for bed or a graphic tee for playtime. This download includes four variables for the style which are all pictured in the post. The default style is the simple grey version. You may use my mesh to create your own design but please link back here for credit.